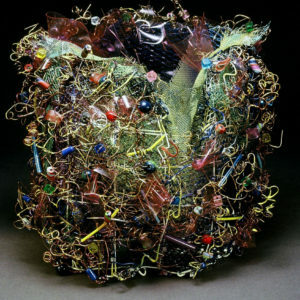 These relatively small works (ranging from 6″ to 24″ on longest side) were created during the late 1980′s. 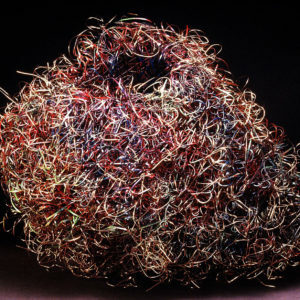 The artist was living in the Midwest, but was still under the influence of the dense, rampant vegetation of the southern US. 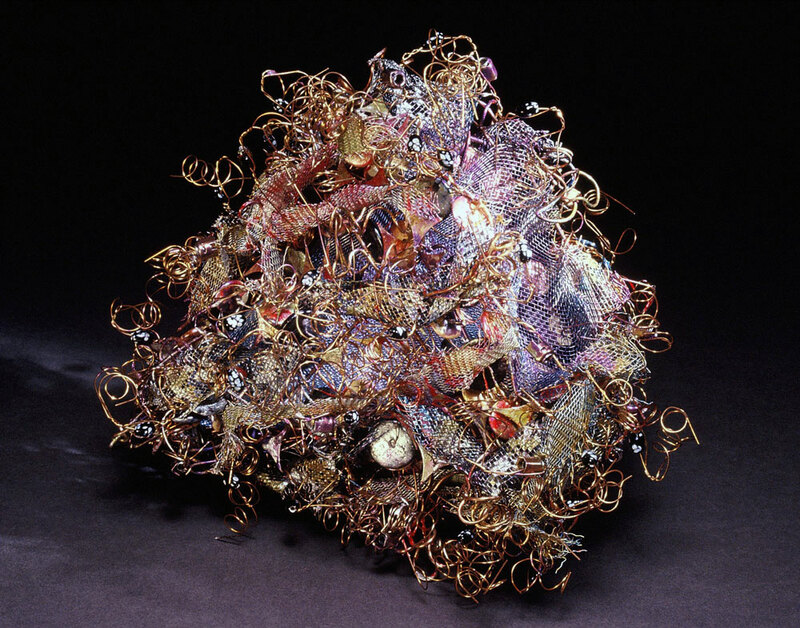 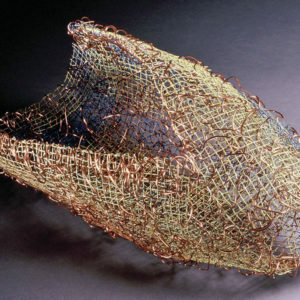 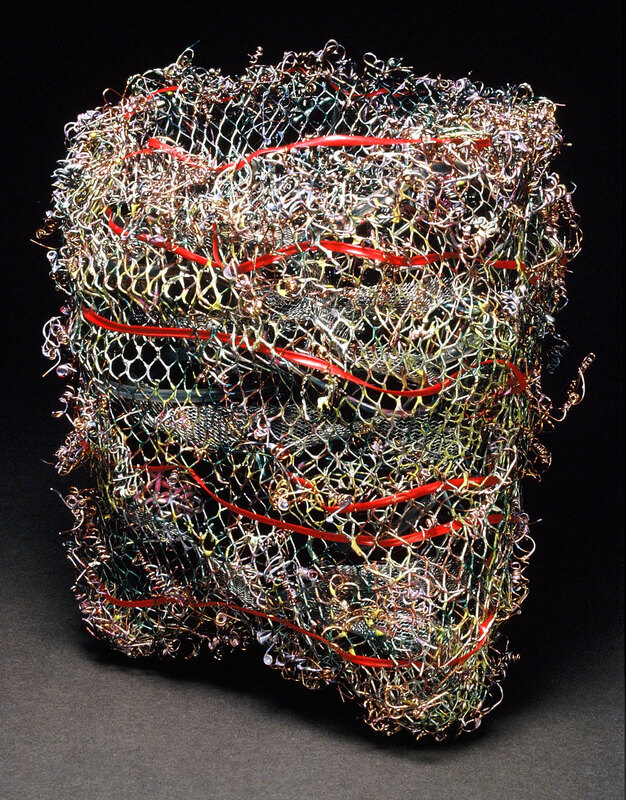 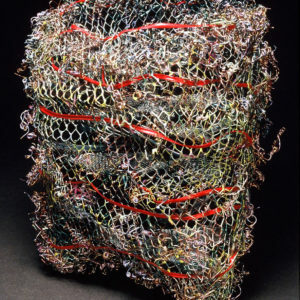 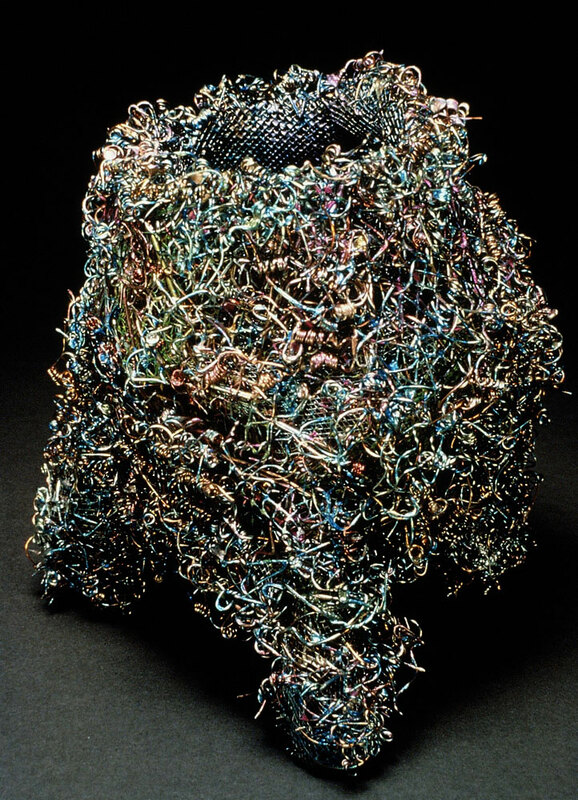 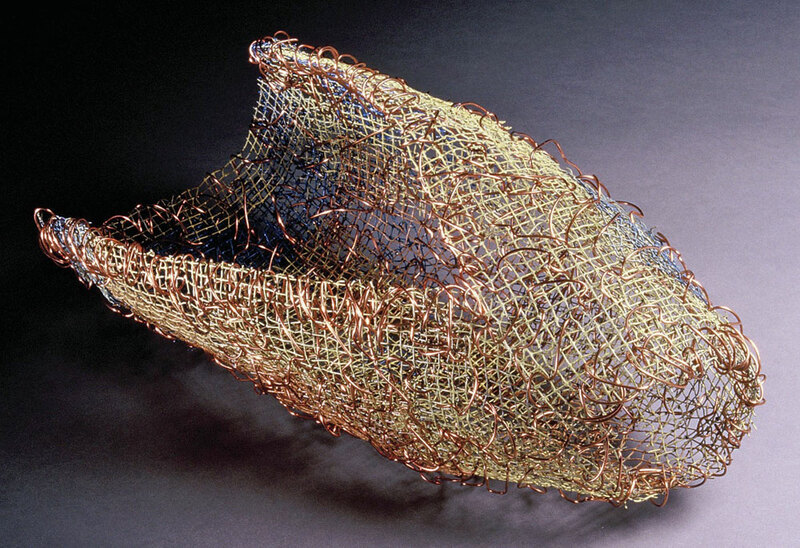 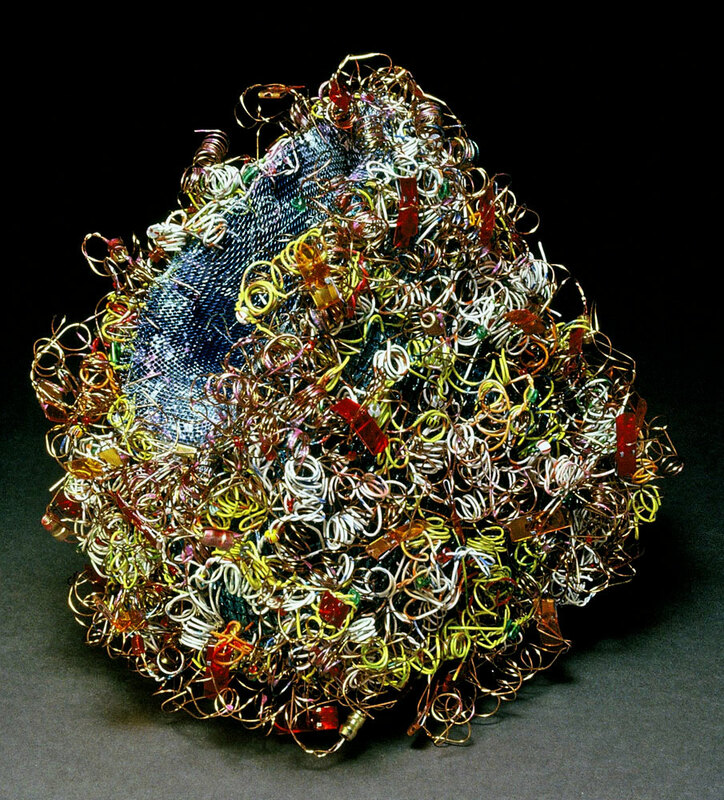 Reclaimed wire of various types was threaded through a vessel form constructed from wire grids. 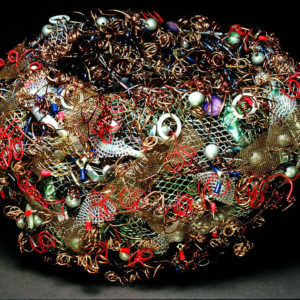 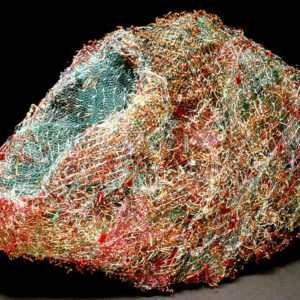 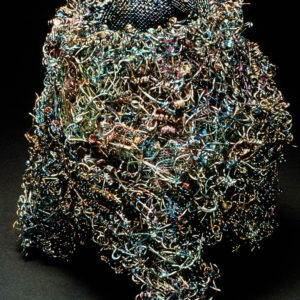 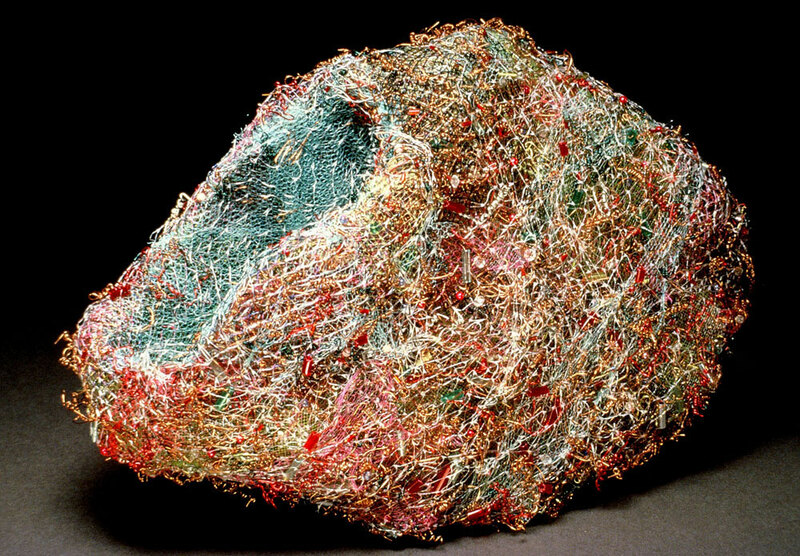 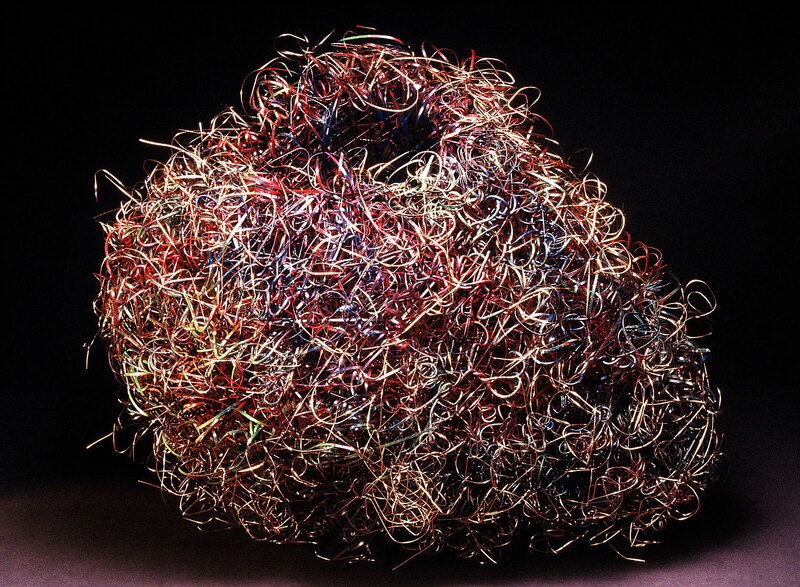 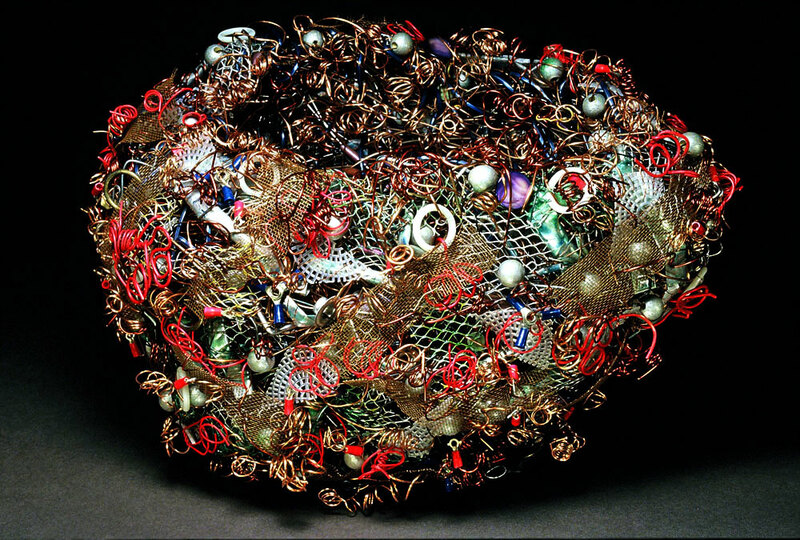 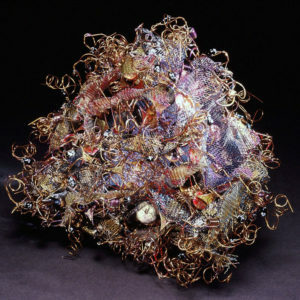 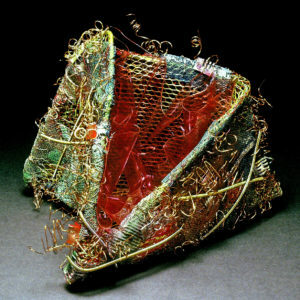 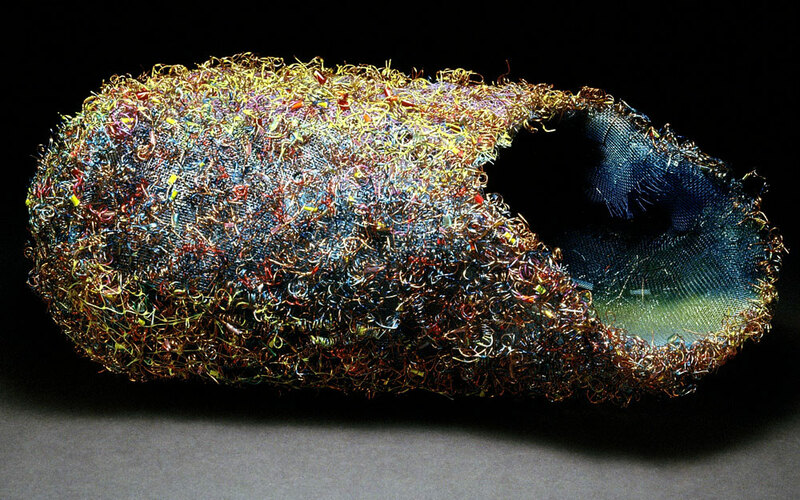 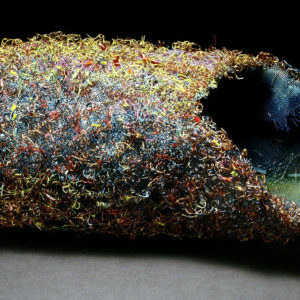 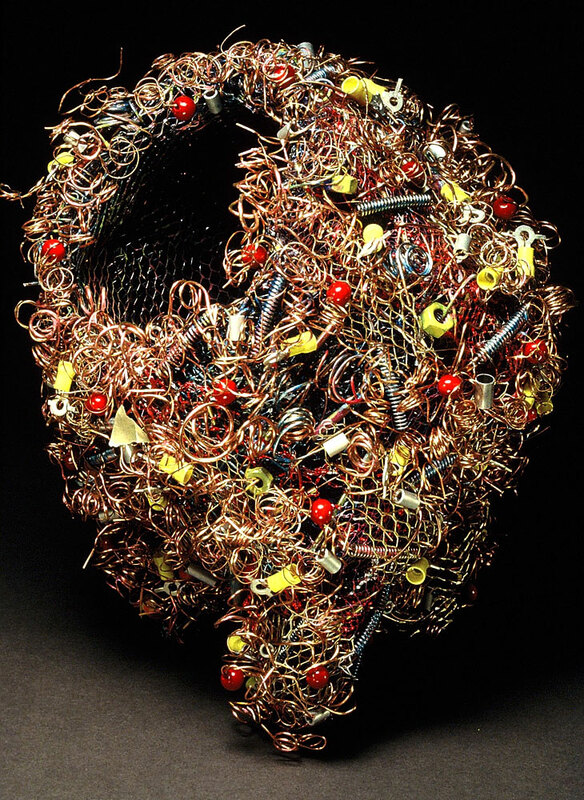 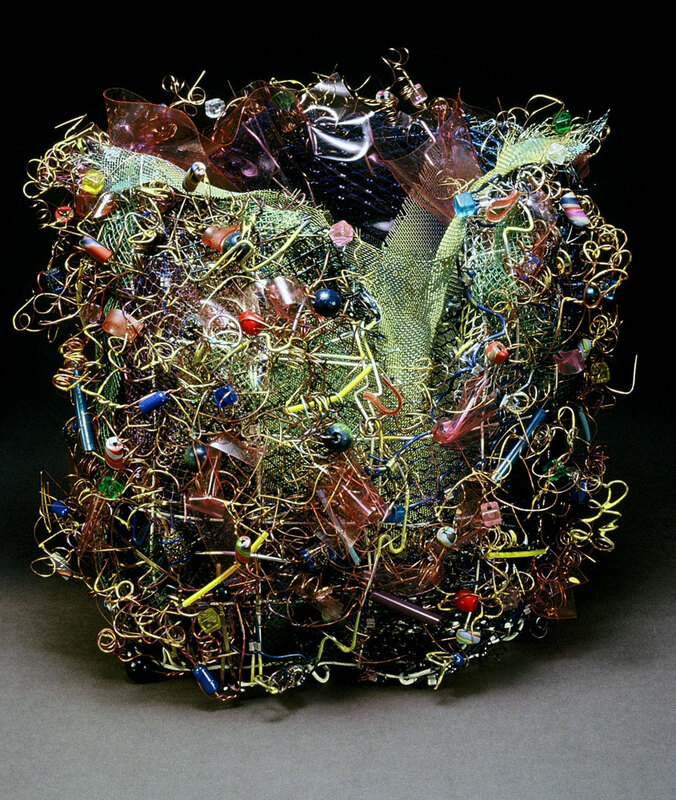 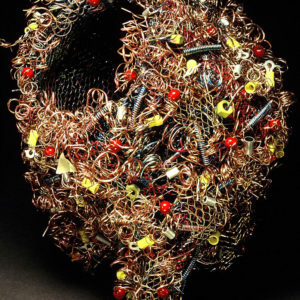 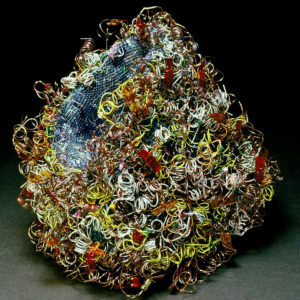 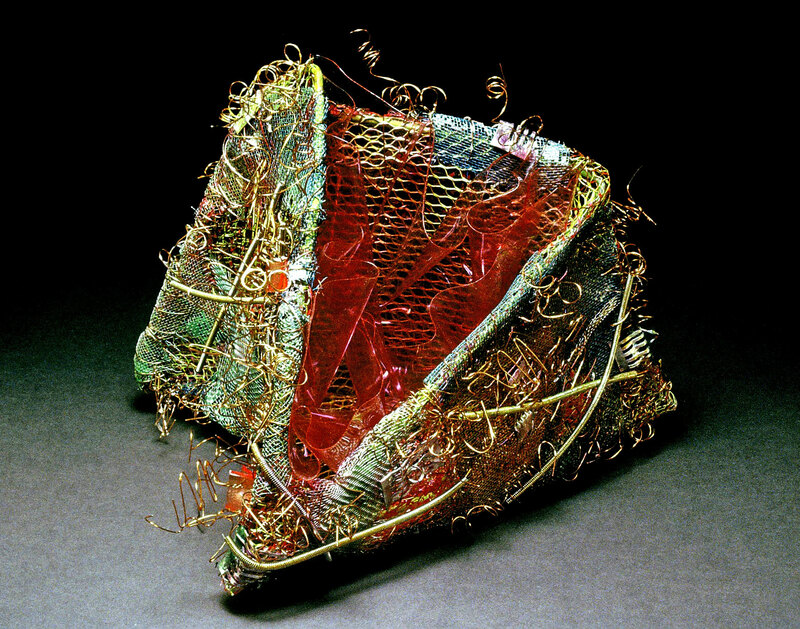 The wire was twisted and curled until the entire surface was covered, with additional found objects added as “bead” elements.